Posted By PA Breast Cancer Coalition on December 15th, 2014 at 12:26 pm | 328 comments. You walked. You trotted. You swam. You rode the trails. You even brewed pink beer. And ALL of you have made a difference. I’m talking about our PA Breast Cancer Coalition Grassroots Partners. It is because of your hard work, dedication, passion and creativity that we are able to reach out and provide help to thousands of women and men facing breast cancer across Pennsylvania. – Since January 1, the PBCC has sent more than 564 free Friends Like Me care packages to recently diagnosed survivors full of educational materials, scarves, head wraps and small gifts. – Last month, thanks to YOUR efforts, the PBCC and an anonymous donor awarded a $100,000 grant to Penn State Hershey breast cancer researcher Dr. Craig Meyers to continue his work to help find a cure for breast cancer now… so our daughters won’t have to. – With your help, we are able to advocate for the women of Pennsylvania on legislation like the Breast Density Notification Act which was recently signed into law. – Our incredible Grassroots Partners allow us to offer scholarships to breast cancer survivors who wish to attend our annual PBCC Conference in Harrisburg. – Your fundraising efforts also help us to provide Patient Advocacy to women at a time when they need it most. From the women battling breast cancer in our state, their families and the entire staff at the PA Breast Cancer Coalition, thank you. We hope you will continue this fight with us to find a cure for breast cancer now… so our daughters won’t have to. Click on the video below to see photos from this year’s Grassroots Partners. Want to hold a fundraiser in your community? 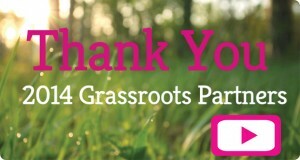 Contact Kristen@PABreastCancer.org and become a PBCC Grassroots Partner today! 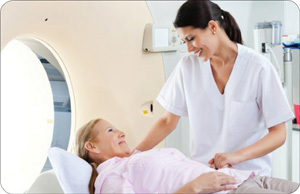 How Long Should Women Receive Radiation Treatment? Posted By PA Breast Cancer Coalition on December 15th, 2014 at 9:42 am | 1691 comments. A recent article in The Journal of the American Medical Association studied the use of radiation after a lumpectomy. This study was conducted by researchers Ezekial J. Emanuel and Justin E. Bekelman of the University of Pennsylvania and other colleagues. The group set out to examine a study done in 2011 which recommends shorter, more intense radiation treatments for women who were older than 50 that had early-stage cancers. What did they find? This recent study looked at two different groups of women: those who doctors recommended to receive shorter treatment (3-4 weeks of radiation) and a group of women who were younger and either had chemotherapy or more advanced cancer (5-7 weeks of radiation). Both courses of treatment were found to have the same effectiveness, but the shorter version saved time for patients and saved money for the health care system and insurers. Doctors did not readily adopt the new recommendations because it went against years of practice in the field. In the 1970s and 1980s, the equipment was much less sophisticated and a shorter, more intense therapy burned women’s skin and scarred their breasts, but with the improved equipment and methodology of today, studies have found that the cosmetic results of the shorter therapy were just as good. Overall, the study found that the use of the shorter therapy had increased from 2008 to 2013. Posted By PA Breast Cancer Coalition on December 15th, 2014 at 9:42 am | 1188 comments. Every time I started to get dressed after the mammogram I would be called back in for more pictures. After three or four times I thought they didn’t know what they were doing. It never occurred to me that there was a problem. Fear and ignorance kept me from returning the call to get the results. Several days later I got the news that it was breast cancer and that I should talk to a breast surgeon. The surgeon I met with was using words that were over my head and he just kept talking. I didn’t understand anything he said. In my head all I heard was white noise, like the sound of Charlie Brown’s teacher talking. Thank God I had brought my girlfriend with me who took notes. I called my mom and she prayed for me. A friend of the family knew a surgeon in Atlanta where I was living at the time, and his amazing bedside manner made a big difference. I needed my family around me. My mom came and stayed with me for ten days. On the 11th day my sister arrived. My mom was there for the surgery and my sister stayed while I was healing. It was all so surreal. 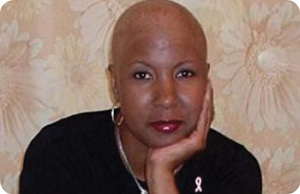 I was really thrown when my hands turned black and the texture of the skin changed from the chemo. While I was in treatment I heard from two cousins who both said they had had breast cancer long ago. They never said anything until then. I realized right then and there that I was going to be an advocate and be upfront about it. I’m a bold person. I wore my head bald for three months. Posted By PA Breast Cancer Coalition on December 15th, 2014 at 9:42 am | 356 comments. At Kenworth of Pennsylvania / Motor Truck Equipment Company, employees are driven to give back to their communities and help those in need. Leadership at this Cumberland County company decided to invite all employees to make a donation to the PBCC by way of payroll deduction, and company matched every gift—totaling an incredible gift of $7,620 to help survivors receive the resources and services needed to navigate their diagnosis! The PBCC is overwhelmed by the outpouring of support from the owners and employees at Kenworth, and a special thanks goes out to Tonya Karcher, HR Manager for her work in organizing the first year of this fundraiser. Your thoughtfulness and hard work helps us continue on our mission to “find a cure now, so our daughter’s won’t have to.” Thank you for making a difference in the lives of breast cancer survivors and their families. 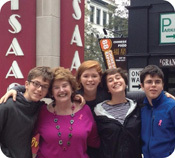 Would your company like to do a fundraiser for the PBCC? Contact Kristen@PABreastCancer.org to get started. Posted By PA Breast Cancer Coalition on December 15th, 2014 at 9:42 am | 1552 comments. Cuddle In-Home Creative Play programs provide enrichment and creative play for young children with parents battling cancer. A team of Program Administrators provide FREE, in-home support for 6 weeks/12 sessions (or more) incorporating organized activities such as arts, crafts, games, journaling, singing and other fun for young children. The in-home program is offered in Philadelphia and the surrounding counties (Montgomery, Delaware, Chester, Bucks) but other services are offered statewide, including the Backpacks Program. The Cuddle Backpacks Program supports families with cancer through with CMK backpacks that are filled with keepsake craft items. These bags were designed for families who are not able to take advantage of the in-home support services. Cuddle Backpacks are given to children who have a parent or sibling with cancer.